After more than two decades as a specialty roofer, I developed and introduced SeamSAFE anchors. My goal when launching this new product was to provide standing seam metal roofers with a best-in-class safety anchor designed to protect them from slips and falls that could otherwise turn into a potentially fatal event. With SeamSAFE anchors, our company’s business objective is not to be the largest anchor distributor. It is not to outdo competitors with sales performance. Rather, SeamSAFE’s performance objective – and how we truly define success – is to provide the highest caliber and most reliable fall-arrest protection available for standing seam roofers. Just like my roofing business, SeamSAFE anchors and brackets reflect a steadfast commitment to three core operating principles that guide every business decision… every interaction with customers and employees… and every service and product we deliver. INTEGRITY – Operating our SeamSAFE business with a sound and consistent moral code, which includes trustworthy and transparent practices, meeting commitments, open communication, and treating people with respect. QUALITY – Delivering the highest standards of product quality, safety and reliability to always provide fellow tradesman with safety equipment they can count on. SERVICE – Delighting customers through exceptional service and meeting/exceeding expectations with SeamSAFE products and support. 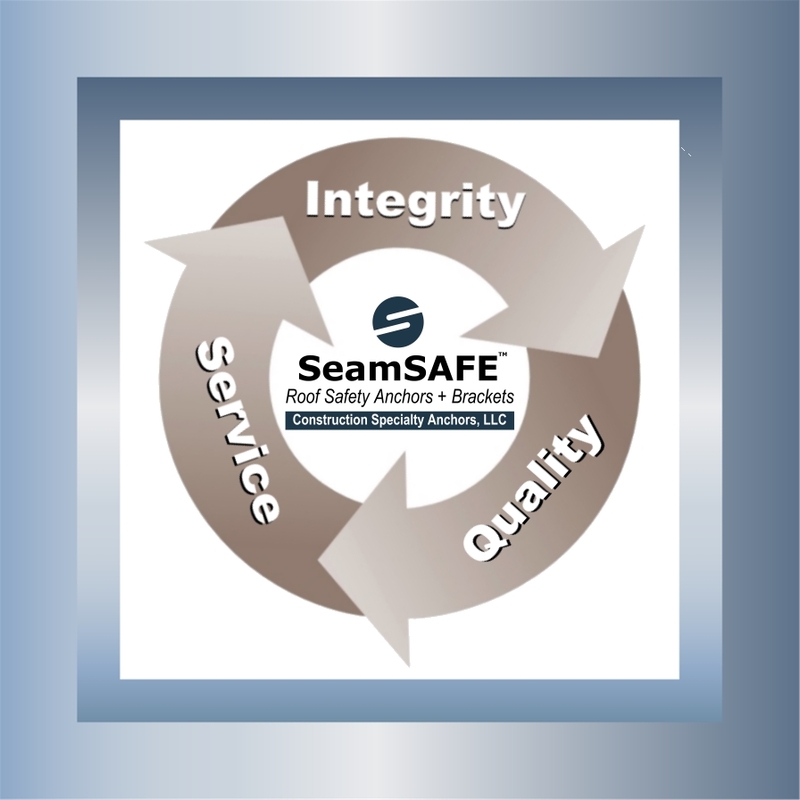 Each day, the tenets of integrity, quality and service come into play with SeamSAFE. And, that is exactly what we want for our customers. Doug Mullins has more than 40 years in the roofing industry. His own experience with a life-threatening fall from a standing-seam metal roof prompted him to advocate for roofer safety and invent SeamSAFE anchors. Today, SeamSAFE anchors and brackets are widely used throughout the country by roofing companies, contractors, and even NASA. For more information, visit www.seamsafe.com. © 2019 Construction Specialty Anchors, LLC. All rights reserved. WebMail | Administration | Web Site By: SayItOnTheWeb, Inc.